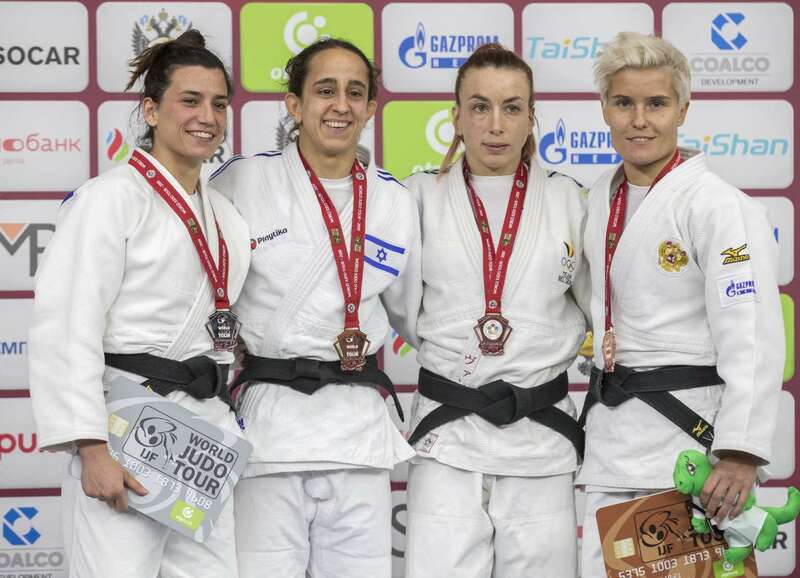 Natalia Kuziutina (-52kg) was not happy with her bronze medal on home soil at the Ekaterinburg Grand Slam. Last year, the defending European Champion won gold at the tournament. In the fight for bronze she was due to face younger team member Daria Bobrikova. However, Daria was injured. Nevertheless, Natalia is considered a leader for the younger generation. “I’m happy being a leader within the women’s national team. I don’t step away from the responsibility to help and support my younger team members. When I myself was younger, older athletes did that for me too and that was important for me,” she tells IJF Media. Lately, judo created a buzz on social media and Natalia was right in the middle of it. “The Russian Judo Team was in Sochi on training camp. There, Russian President Putin – who is IJF Honorary President and IJF Ambassador - came to one of our training sessions but also joined us on the tatami, so we had the opportunity to train with him.” For Natalia and her team mates a precious moment. “It was a great honor for me to train with our President. We did some randoris together. I found out he is strong and in really good shape. It was really cool to meet the president. Many team members saw him previously only from a distance. It’s a great support for us to meet our President in person and to participate with him in his favorite sport,” says the defending European Champion who’s vying to become a World Champion.